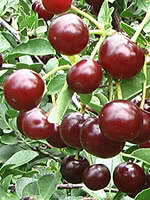 Evans Cherry is an Alberta-developed cold hardy tree that has been thriving in the prairies for over 50 years. 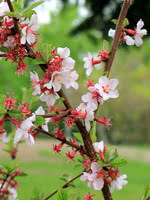 This highly productive self-pollinating tree requires little maintenance. 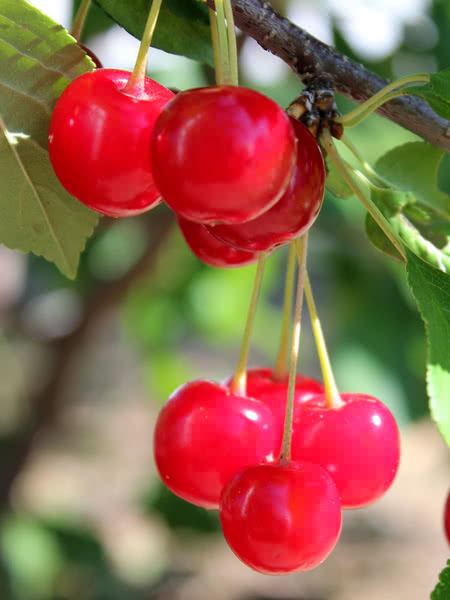 The fruit is good for cooking or fresh eating when fully ripe. 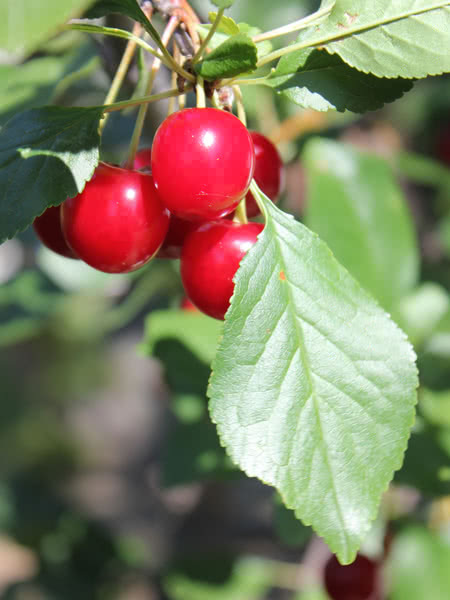 Evans Cherry is an attractive tree, with white blossoms in spring and reddish-orange fruit that ripens to a dark burgundy. 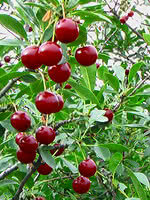 Cherry trees do not like "wet feet" and are not tolerant of poor draining soil. 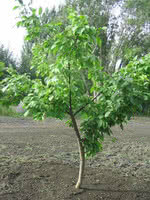 So, select your planting site carefully. One-year-old seedlings grown from tissue culture. Guaranteed genetically true to type.